They started two petitions, which both recieved more than 64,000 signatures. Lacey Kohlmoos and Samantha Matlin are two working moms from the Philadelphia area. After numerous trips to the Amtrak station in Philadelphia and Washington, D.C., they realized that the stations did not have adequate breastfeeding accommodations. So they decided to do something about it. On a trip to D.C., Kohlmoos told ABC News that she couldn't find a sanitary place to properly pump at Union Station. She was forced to go into a Starbucks bathroom to pump, and she experienced in the course of fifteen minutes about 10 knocks on the door. She described the experience as "embarrassing and stressful." 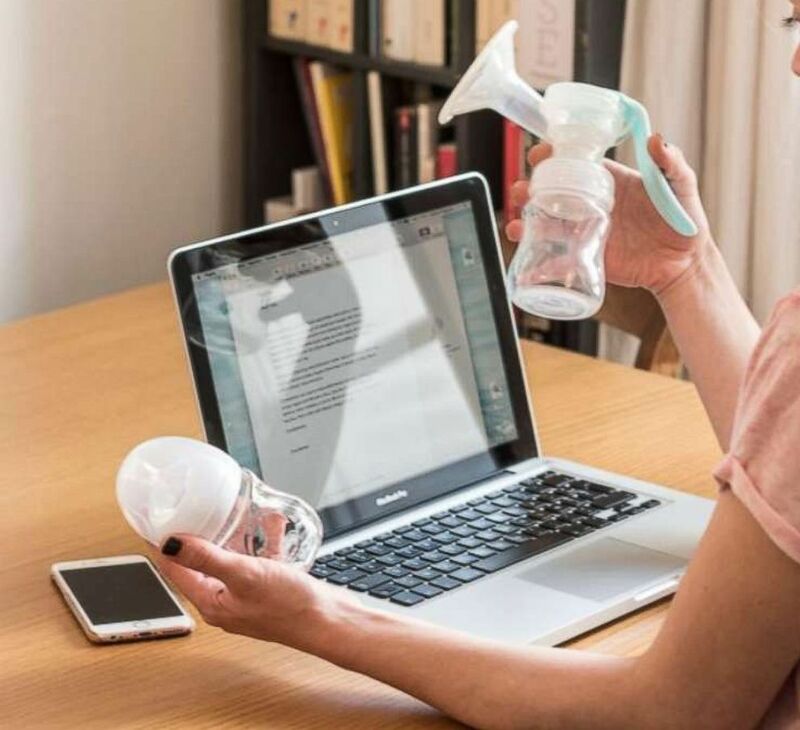 (STOCK PHOTO/Getty Images) A working mother holding a breast pump is seen in this undated stock photo. The moms started two petitions, one that targeted the Philadelphia station and one that targeted the Washington, D.C., station. They received more than 64,000 signatures for both. Kohlmoos realized once she started the petition, other moms were having similar experiences, including Matlin, who joined the campaign. "Anyone who I told about this, I was also touched by their personal experience with it or just their support of it," Matlin told ABC News. Despite not hearing from Amtrak during the process, the moms were unfazed in their efforts to get something done. Shortly after the petition, Kohlmoos said Amtrak reached out to Mamava, creators of self-contained mobile lactation pods that have outlets, a door and plenty of space if a breastfeeding mother has other kids. 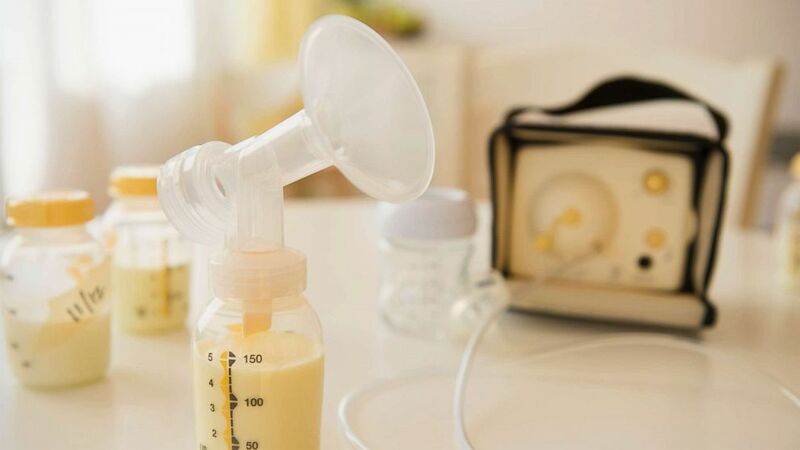 (STOCK PHOTO/Getty Images) A breast pump is seen in this undated stock photo. "These new lactation suites demonstrate Amtrak's ongoing commitment to better accommodate the needs of our customers and their families while traveling with us," said David Handera, Amtrak's vice president of stations, facilities, properties, and accessibilities, in a statement. "It is important for Amtrak to provide mothers with a secure, clean, dignified and private space." Lactation pods are already up in places like the Oakland International Airport and U.S. Bank Stadium in Minnesota, which recently hosted the Super Bowl. "We believe that all mamas deserve a comfortable place to use a breast pump or breastfeed distraction-free -- anywhere, anytime," said Sascha Mayer, co-founder and CEO of Mamava in a statement to ABC News. "Mamava pods provide flexibility for facilities and easy access for moms." But, Kohlmoos and Matlin see airports as the next challenge citing that only 8 percent of airports have a lactation space. "Just like everyone needs bathrooms to fulfill their needs, we also need lactation facilities to fulfill lactating mothers needs," Kohlmoos said. The lactation stations will go up in Amtrak stations in Washington, D.C., Baltimore, Philadelphia, New York Penn Station and Chicago in the early fall, according to Amtrak.